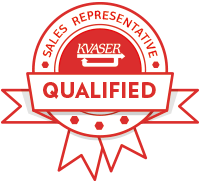 Kvaser works with a network of carefully selected Qualified Sales Representatives (QSRs). Offering local language support, advice on CAN bus products, software and in some cases, additional engineering services, our QSR network is the best place to buy Kvaser hardware. EUROAMERICA IN MOTION S.A. DE C.V.
Wind Hill Technologies Co., Ltd.
Shanghai Barutu Construction Machinery Technology Co.
Beijing Watertek Information & Technology Co.
Kvaser’s certified Qualified Sales Representatives (QSRs) sell Kvaser CAN bus products, along with software and services important to your market. Whether you are looking to buy one interface or more, we advise you to select the QSR in closest proximity to you from the list below, or the QSR most closely aligned with your application. Can't find a Qualified Sales Representative in your area?